Exeter is unrivalled in the region for the choice of things to do, whatever the weather, night or day. Explore the city's many attractions all within close walking distance of each other. The city is segmented into distinct quarters to help you explore hidden gems and surprises along the way. View or request a copy of the Exeter Official City Guide to find out what to see and do in the city. Exeter Cathedral is a magnificent example of gothic architecture. Explore the history of the city on a daily free Red Coat Guided Tour, starting from outside the West Front of the Cathedral. During sunny days, the Cathedral Green is a mecca for people wishing to spend their lunch break soaking up the sun and enjoying the views. A must-visit is the award winning Royal Albert Memorial Museum & Art Gallery. Enjoy stunning displays and prestigious loans and exhibitions from national partners. Experience the splendour of the original Victorian spaces, see newly-revealed architectural features and discover new spaces. 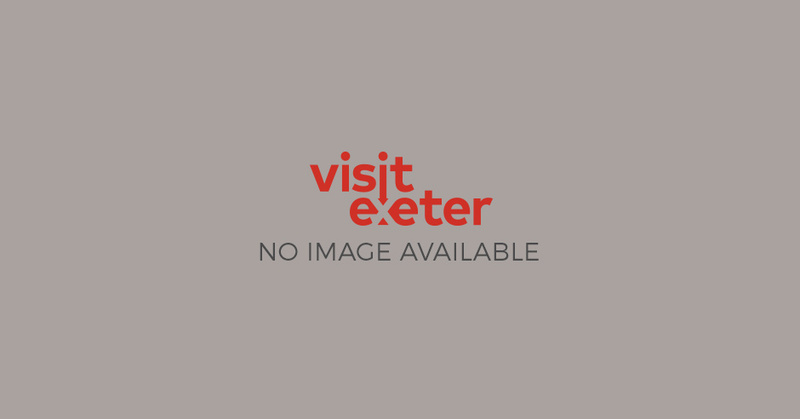 Explore beneath Exeter’s streets at Exeter's Underground Passages, a network of subterranean passages which can be explored on a guided tour, the only attraction of their type in the UK and designated a unique ancient monument. Exeter's Historic Quayside is located about 15 minutes walk from the city centre. It is one of the most interesting and picturesque areas of the city, with a fascinating history, interesting architecture, lively events and waterside pubs, restaurants and cafes. Activities on offer include cycling, walking, relaxing boat trips, watersports and climbing. It is also home to the Exeter Cookery School, located in a converted 1830s warehouse and offering the chance to hone your cooking skills in a fun and friendly environment. Exeter’s position on the River Exe lead to great wealth in the 17th and 18th centuries, largely due to the woollen cloth trade. In 1680 the Custom House was constructed on the city’s Quayside, a beautiful building renowned for its sweeping staircase and ornate plaster ceilings. Today it is a visitor centre, bringing the history of the Quayside to life. Exeter’s compact size makes it great for shopping, with big High Street names and a wealth of independents all within easy walking distance of each other, interspersed with lots of choice of places to eat and drink. Exeter's location in the heart of Devon means the city is well placed to explore nearby coast and countryside, with good transport links to both. Explore the green spaces surrounding the city by bicycle or on one of the numerous, well-signposted walking trails. Within the city itself are some beautiful parks and gardens, offering an oasis of calm within the hustle and bustle of the city centre. Start your visit at Exeter Visitor Information & Tickets, who offer a wide range of services to make the most of your visit, including maps, leaflets and event tickets. A great choice of family friendly attractions such as Crealy Great Adventure Park and the Royal Albert Memorial Museum offer fun and activities for all ages. If you are looking for an activity break, Exeter is the perfect destination. Its location on the River Exe, surrounded by countryside and close to the coast, lends itself perfectly to outdoor activities, such as walking, cycling and watersports. There is also plenty to do out of season, with the south west's largest indoor climbing wall just one of many indoor activities in the city. Here in Exeter we are passionate about sport, perhaps inspired by the fresh air and wide open space surrounding the city! Exeter is crammed full of things to see and do and we want to make sure you make the most of your time here so keep reading for fantastic tours and itineraries! A changing calendar of colourful events, great Devon food, a good choice of accommodation for groups, visitor attractions for all ages and ample coach parking - Exeter is the perfect destination for your next group visit!